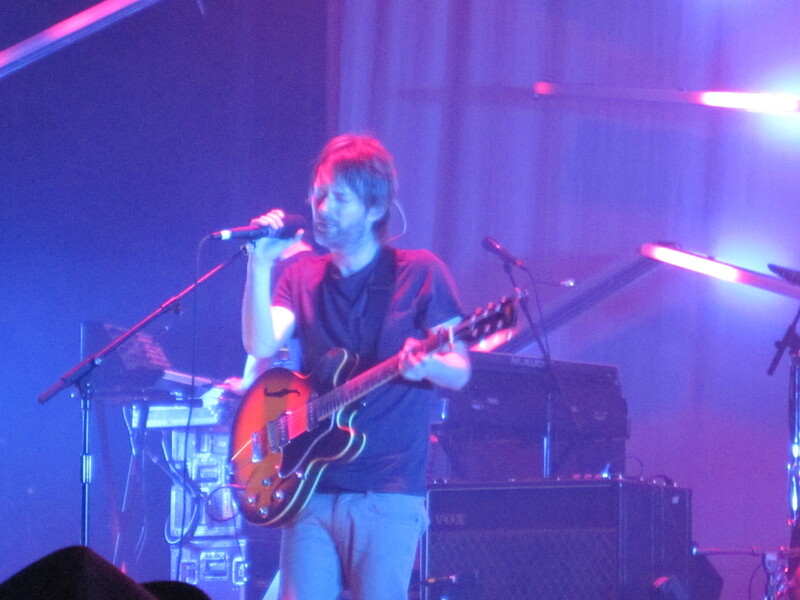 I’ve been seeing live music, almost every night, around the world, for the better part of 15 years (including many Radiohead shows), and I’ve never experienced what occurred last night at The Fox Theater in Oakland. If there’s something beyond “music,” then it happened last night and I, along with 2,799 of the most energetic and dedicated music fans, witnessed it. 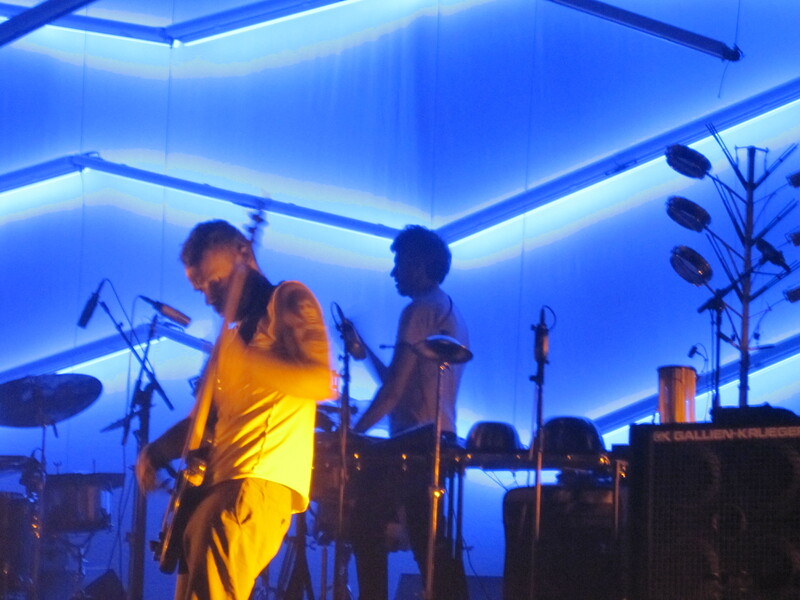 Thom Yorke, Joey Waronker, Flea, Nigel Godrich, and Mauro Refosco make up Atoms For Peace (formerly known as “????? 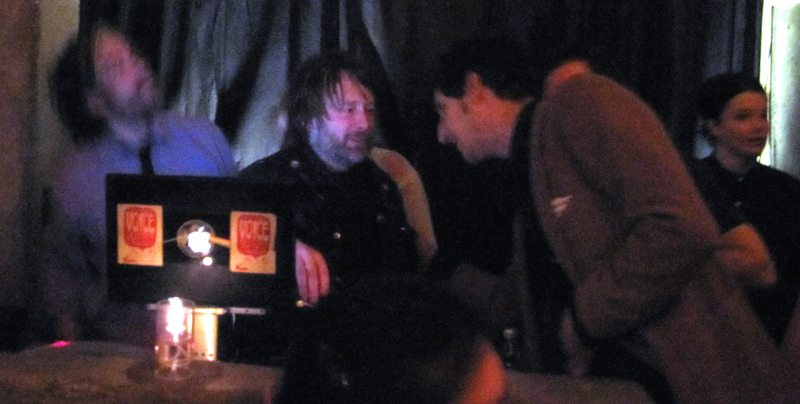 ?” or “The Thom Yorke Band“). 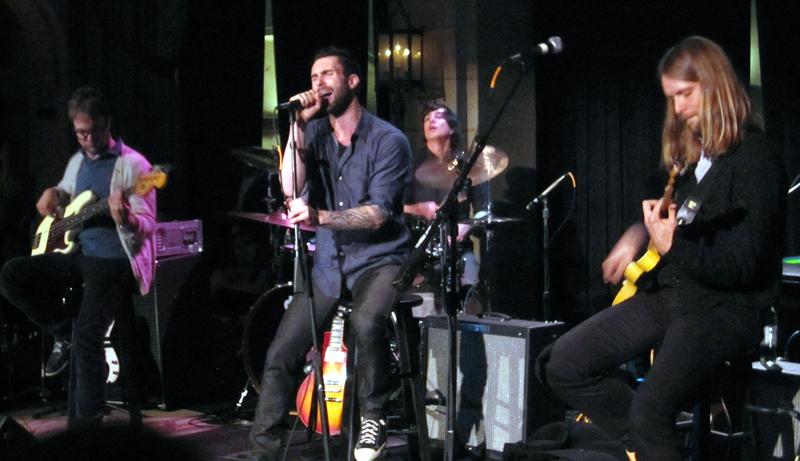 Before they had a name, the band debuted and played three rehearsal shows in Los Angeles. 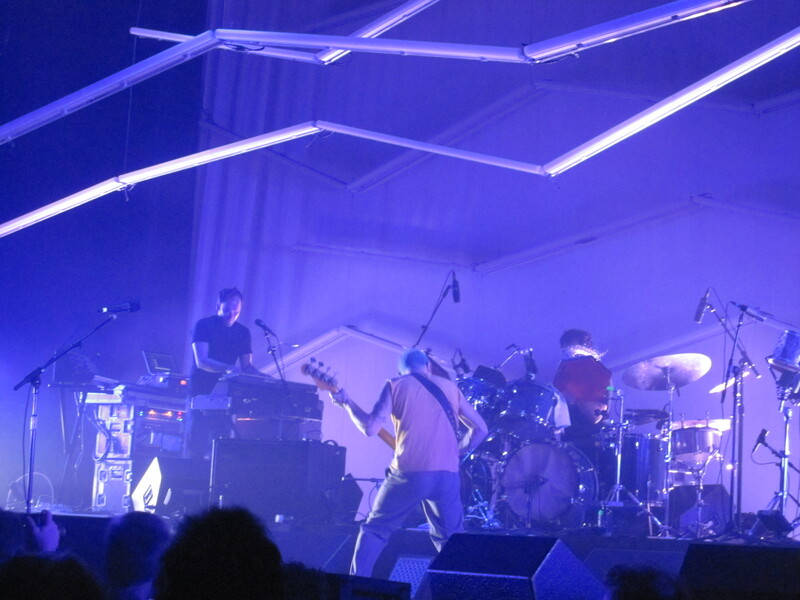 Having been to all 3 shows, I had high expectations for last night, but I didn’t expect that the Thom Yorke Band could get much better than the phenomenal group they were in October 2009. 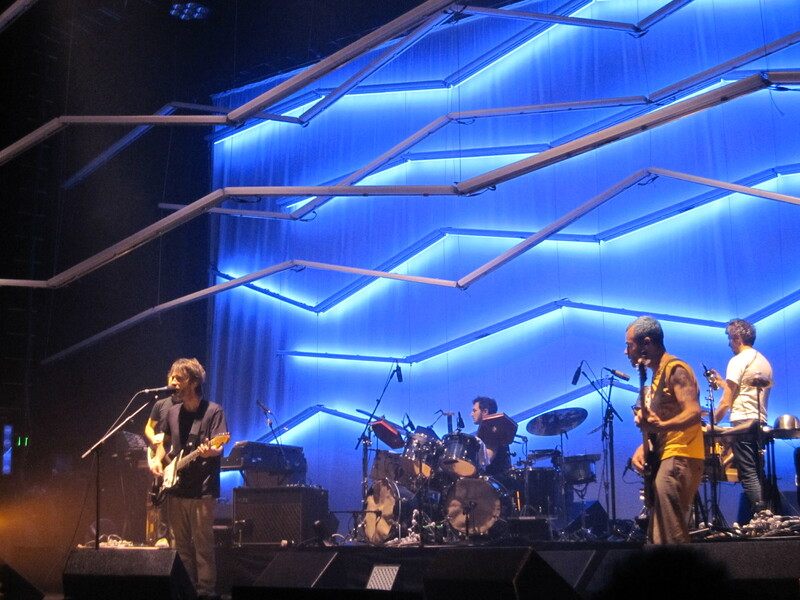 They announced their new name, Atoms For Peace, on March 1st and along with the name, they became something else. They have transcended music. I’m going to share something with you that nobody else who reviews the show will. If you want to understand what’s happening to you, or the people who swear by Radiohead/Thom Yorke/Atoms For Peace, when you’re at one of their shows, close your eyes. Each song transmits a different and definitive directional vibration. You can feel it moving through your body – sometimes pulsing down, through your feet, to the earth; sometimes swaying, rocking, or pounding side to side; sometimes spiraling from the core out, literally taking you outside yourself; and often times straight up from the earth, through your feet, up your body, and beyond the sky. Sound is vibration, and it’s healing. Thom Yorke has an understanding of how to articulate that vibration in an exceptionally powerful way, which is why people are so passionate about the music — you feel it, it physiologically moves you. 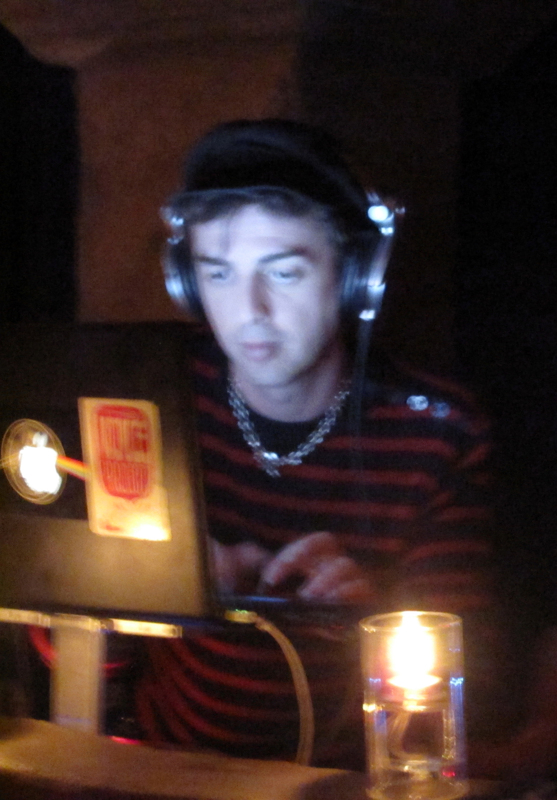 Many musicians write songs. Thom Yorke is a composer. He’s precise and intentional. When you consciously experience it, you realize that it’s beyond music, it’s Channeled. Downloaded. Shared. When people talk about it as a “religious experience” that’s what they mean. It’s so powerful that at one point last night, Yorke got so caught up in the sound and dancing, that he forgot to start his part. The music kicked in, Yorke felt it, and got lost in the dance. Next thing everybody knows, he’s forgotten to actually start singing. “Oh, that was me. . .” he said with a laugh as the band stopped and restarted. Be sure to open your eyes again and watch Mauro Refosco and the instruments he plays, from around the world, that contribute greatly to that vibration. Refosco is among the best percussionists in the world and Atoms For Peace teams him up with the also-brilliant, Joey Waronker on drums. You need to really watch them in order to constantly remind yourself that there’s no drum machine making this happen, these guys are creating those beats live. Observe how the vibration moves through Flea – sometimes it appears as if he has to reign it in in order to hit the next note on the bass. Then, there’s Nigel Godrich, who has produced Radiohead, Beck, and Travis to name a few. Seeing him on stage, watching the countless smiles that cross his face while he plays, you begin to understand how Godrich creates what he does, in collaboration, with these bands. If at any point in life you encounter somebody who was at *that* show, you will know it. You will feel something different emanating from them. This entry was posted in Fox Theater Oakland and tagged Atoms For Peace, Flea, Fox Theater, Joey Waronker, Mauro Refosco, Nigel Godrich, Oakland, Radiohead, Thom Yorke.